Here are some things that i have made since finding this site. 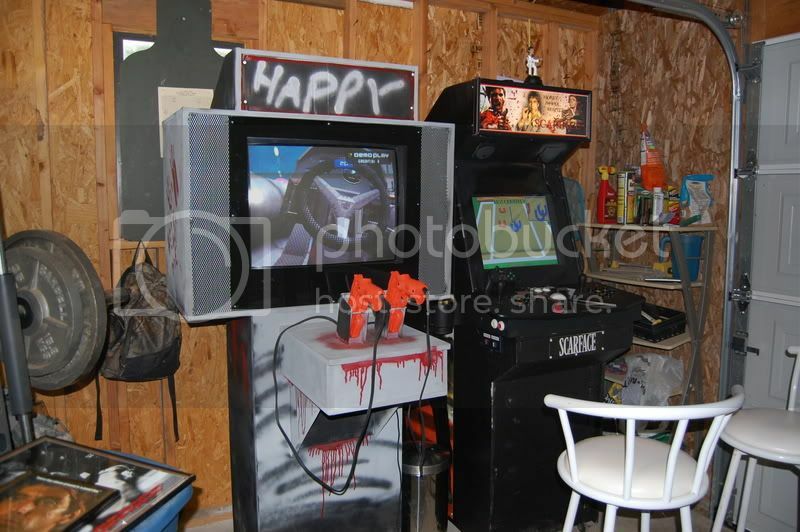 The first pic is the shooter cab with time crises games and HOTD3 on ps2 and xbox,the other cab in the pic is my first(it still needs a lot of work before i am finished with it) it runs mame and has a scarface theme, i love that movie. 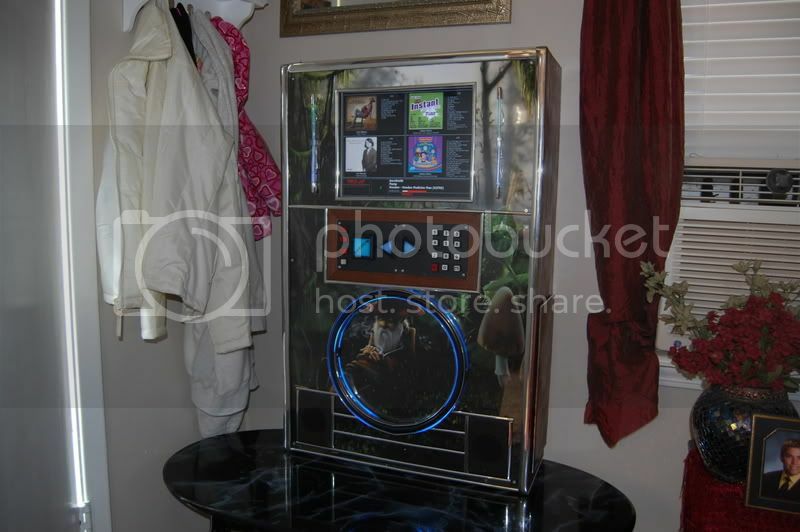 The next pic is my jukebox using sk jukebox. I had to make it small to put it in the house ( 3ft high, 10" deep, 2 feet wide).The rest of the pics are my current project. Its a slim UA 2 design with a dreamcast only running soul caliber. Its about 5 1/2 feet tall and at the CP its 24" deep and 23" wide. 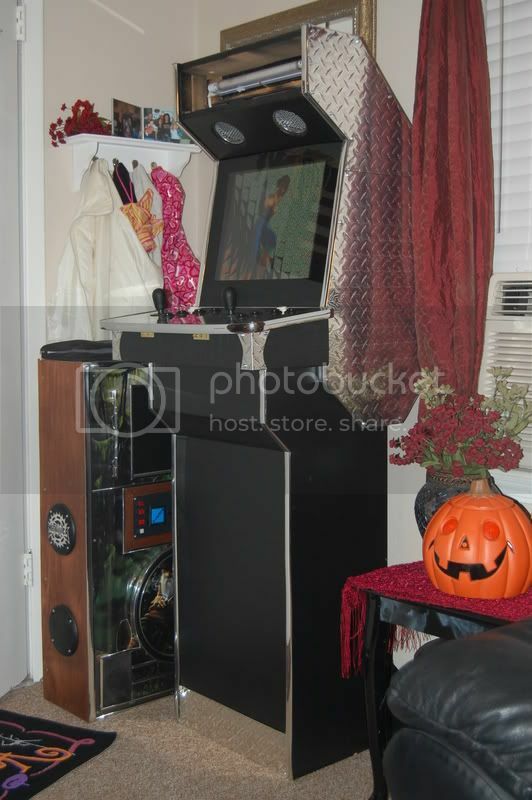 It has a 17" flat screen moniter in it. 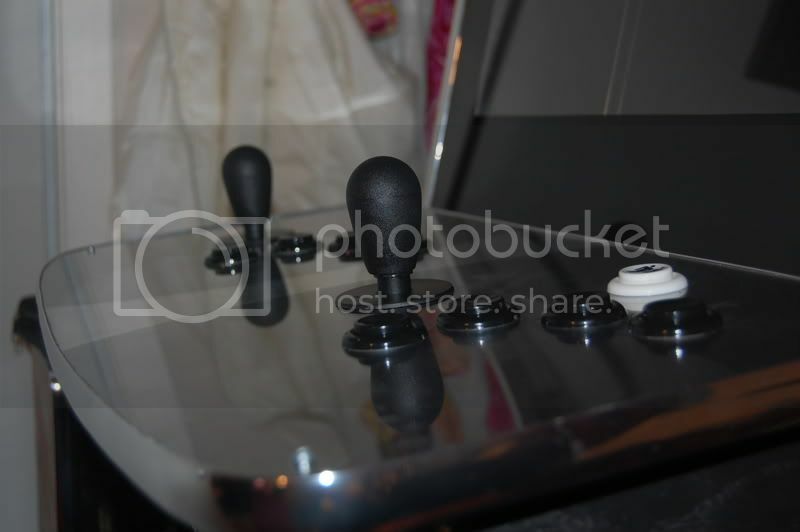 The soul caliber cab is by far my favorite. Its an awesome game and my cab making skills are getting better and better. By the way Knevils designs are sweet and that is where i started with the slim ua2 design. The way it happened is, my father in law was gonna throw away an old entetainment system. I said ill take it, so he gave it to me. I had to make it a UA2 design because there wasnt any peices big enough to make it a one peice cab. A little over a week later it is now my soul caliber cab. Well this is long enough. talk later. That a lot of projects for somebody who hadn't even posted any questions yet. Congratulations and welcome to the forum. 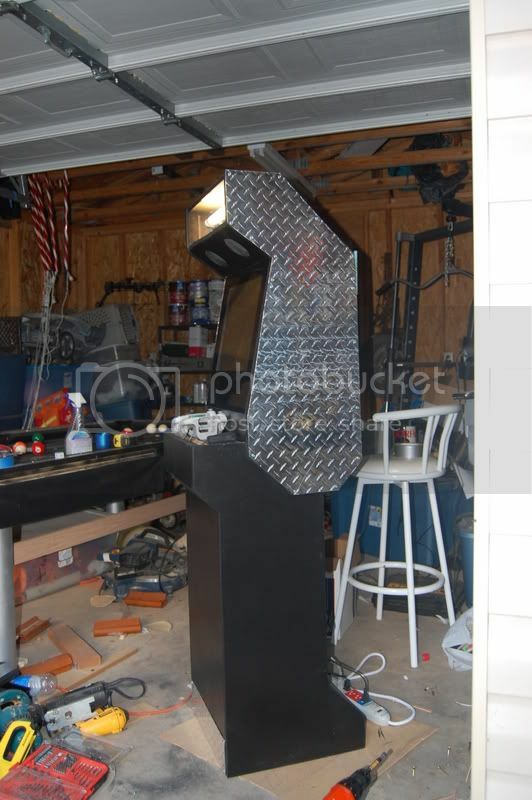 That last cabinet and the juke look like you've definitely started to get some good skills.